LG today announced its new smart kitchen products including the InstaView ThinQ refrigerator, the EasyClean oven and the QuadWash dishwasher. 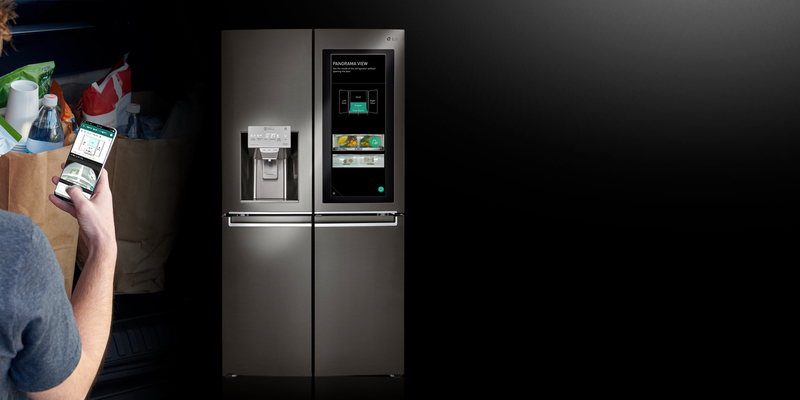 The InstaView ThinQ refrigerator sports a 29-inch touchscreen that can act as either a computer display or a transparent window. It can recommend recipes based on what ingredients are available, and once a recipe is selected, the Alexa based assistant can guide the user through the process of making the meal. A food management system is included as well; by using the Smart Tag feature, the fridge can track expiration dates. There’s also a camera inside the fridge which you can view from a smartphone to check its contents remotely. LG’s EasyClean oven can access recipe information and begin preheating automatically. The oven can also send a notification to your smartphone when it requires cleaning. When it’s time to do the dishes, the EasyClean oven can send information to the QuadWash dishwasher which will set an appropriate wash cycle. For example, the dishwasher will use a different setting for a greasy dish than for a light one. Both the oven and dishwasher can be monitored with voice commands. Local availability and pricing is yet to be announced.